Five members of PDS’ team achieved considerable attention during the annual Esri conference held recently in San Diego. 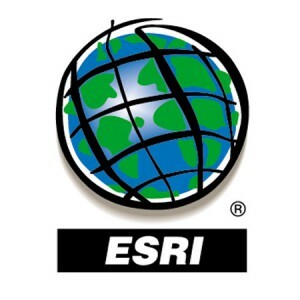 Esri (Environmental Systems Research Institute) is an international GIS software company that invites its users to share examples of their work at its annual user conference. Over 16,000 GIS professionals from around the world attended. Three team members were celebrated with a second place in the large format printed and story map categories. Their submittals were products of PDS’ NKYmapLAB initiative. The three are Louis Hill, GISP, Geospatial Data Analyst, Ryan Kent, GISP, Principal GIS Data Analyst, and Trisha Brush, GISP, Director of GIS Administration. Kyle Snyder, GISP, Principal GIS Specialist and Pete Berard, Public Information Coordinator were the other two PDS staff members recognized. Their small format map of the Highland Cemetery Trails was submitted both in color and in black and white, and brought home a third-place finish. The Esri Map Gallery display—the forum in which the maps were displayed and judged—provides an exciting and vibrant exhibition of the very best in current cartographic practices. Approximately the size of two football fields, the exhibit of hundreds of maps in numerous categories allows users to showcase their talents and work to other conference attendees. It also provides a barometer for the current state of mapping globally. A story map is a media where mapping professionals can combine authoritative maps with narrative text, images, and multimedia content. The NKYmapLAB initiative currently features 25 story maps accompanied by large posters. All published NKYmapLAB maps are stored here for your review and use. In addition to receiving the map gallery awards, PDS was selected from more than 150,000 organizations worldwide for the Special Achievements in GIS Award. The announcement of that recognition was included in PDS’ April newsletter. Esri bestows the Special Achievement Award to organizations in each state that have made extraordinary contributions to the global society and set new precedents throughout the GIS community.